Click The Button To Contact A Real Estate Agent Today! Looking for homes for sale in Winter Garden Fl? Winter Garden has become a desirable place to live and a local gathering place for residents within Central Florida offering a diversity of housing options. Winter Garden’s proximity to Orlando and the theme parks has made it an ideal spot for growth. Winter Garden is known for its warm charm, great schools, one of the lowest millage rates in Orange County, while enjoying a superior quality of life. 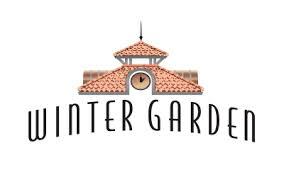 Winter Garden has a thriving business community comprised mostly of small businesses, a historic downtown, one of Central Florida’s premiere shopping centers, Winter Garden Village at Fowlers Grove. Winter Garden has grown into the commercial and cultural capital of West Orange County with regional amenities such as the Garden Theatre, several Museums, a new Art Center and the Downtown Pavilion, which is home to the Winter Garden Farmers Market. To help make finding your dream home in Winter Garden a little easier we have created a number of predefined searches to speed up the process. Click on any of the links below to view the latest information. If you prefer to run your own custom searches simply enter your requirements into the fields at the top of the page and get ready to find your new home. If you can’t find what you are looking for try searching in cities in the surrounding area or contact our office and ask to speak to one of our experienced , licensed agents who will be happy to assist.